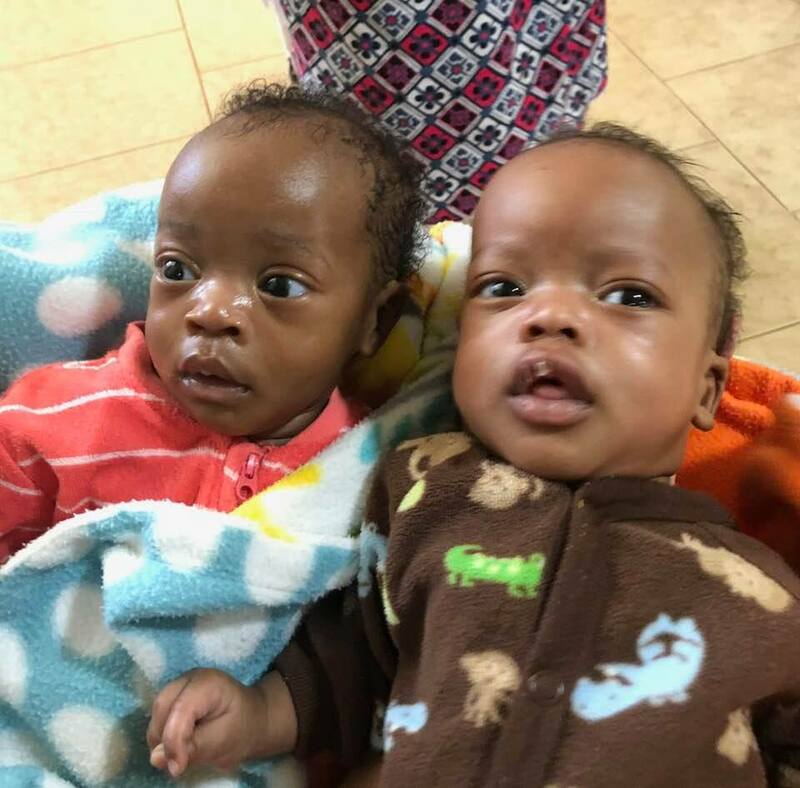 These little twins came to Neema Village today. They are 2 months old and their mother who is deaf and HIV positive abandoned them with the great grandmother who is 78 years old. The girls mother had abandoned her years ago. Hopefully great grandmother will let them be adopted.